Use the import function to transfer information from various sources into Interactive Calendar database. 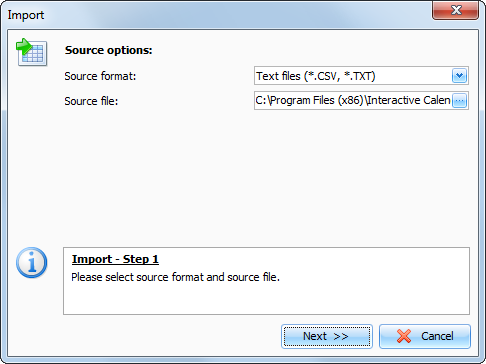 To open the Import dialog box, click the "File - Import" program's main menu item. The Import process consists of a few simple steps. 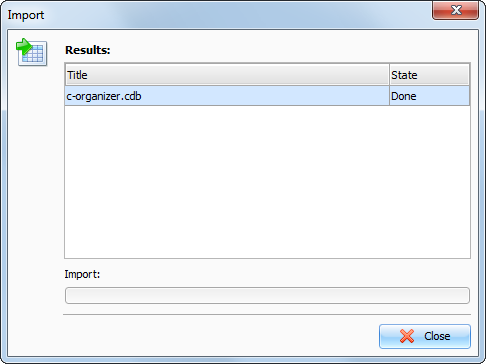 If you have chosen the Interactive Calendar databases or C-Organizer databases source format, click the Import button, and a dialog box showing the importing process will appear. You will get a notification message when the import is complete. If you have chosen text files as a source, click the "Next" button. 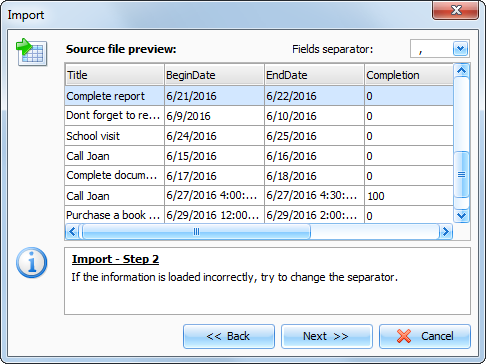 This window shows a table filled with information from your source file. If the information is loaded incorrectly, try to change the fields' separator. 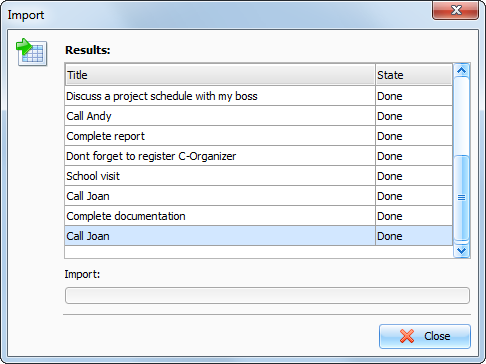 In this dialog box you need to match the source fields to the destination fields. 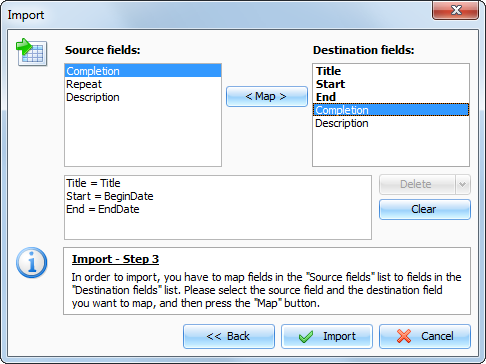 To map fields, please select the source field and the destination field you want to map, and then press the "Map" button. Please note that you can map more than one Source filed to a Destination field. All mapped fields are listed in the bottom box. You can delete mapped fields by pressing the "Delete" button, or clear all mapped fields by pressing the "Clear" button. Important: the unmapped fields won't be imported. You will get a notification message when the action is complete.